Humble Bundle is one of the best ways to pump up your mobile game catalog without breaking the bank. 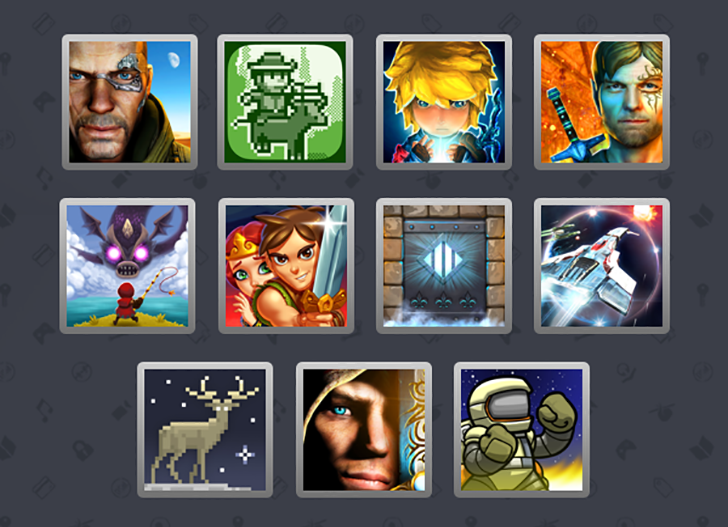 In fact, today you have a chance to get all the games in the current bundle for free. The "Made in France" bundle is now halfway through its run, so we're giving away 10 free codes for the whole bundle. If you pay more than $1, you get arcade games Mechanic Escape ($2.99) and Pang Adventures ($3.99) plus typography puzzler unWorded ($2.99). 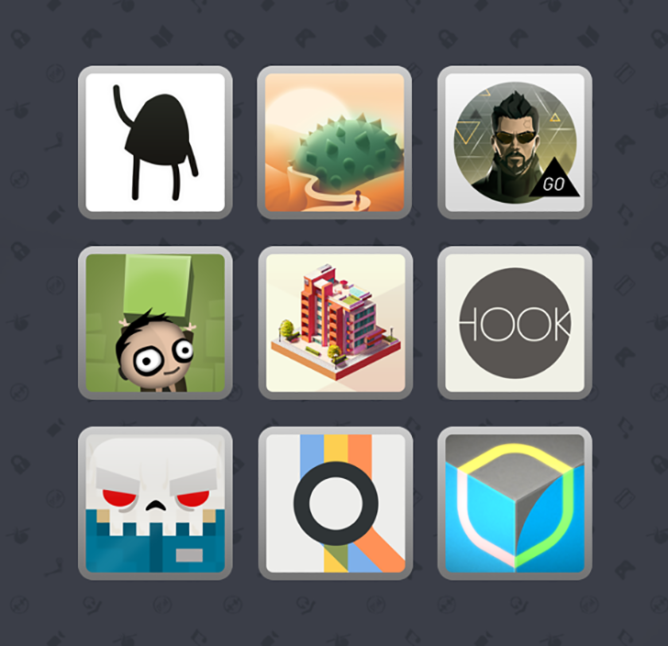 Puzzle games, in spite of all the frustration they may cause, are a good way to pass time. Whether you're at the airport waiting for a delayed flight or just bored at work, you can rest assured that the time will fly by once you get into a puzzle game. 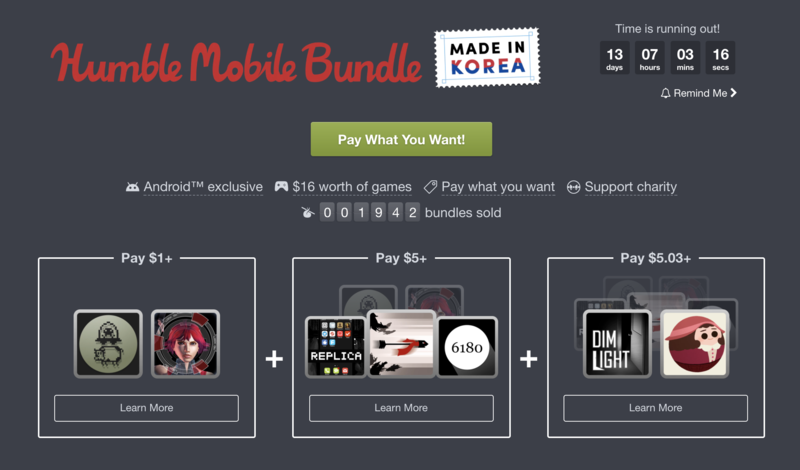 And now, with our latest Humble Mobile Bundle giveaway, you might not even have to pay for a couple. There's a new Humble Bundle live, and it's all about puzzles—action puzzlers, relaxing puzzlers, and everything in between. 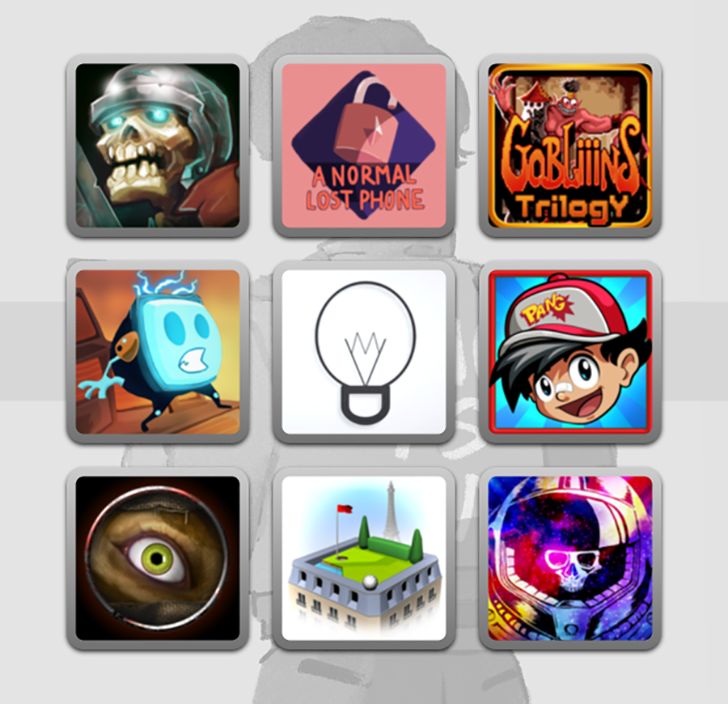 All you need to do is drop a few bucks, and you can get up to nine Android puzzle games with no DRM or in-app purchases. There are a lot of great titles this time, too. For a long time, video games were all pretty hard. Then, they got much easier. Roguelikes seek to bring us back the days of high-risk, high-reward gaming with punishing difficulty, permanent death, and retro graphics. Humble Bundle is halfway through its celebration of the Roguelike genre, and now you can win this latest game bundle. That'll make up for all the not-winning you'll do when playing these games. 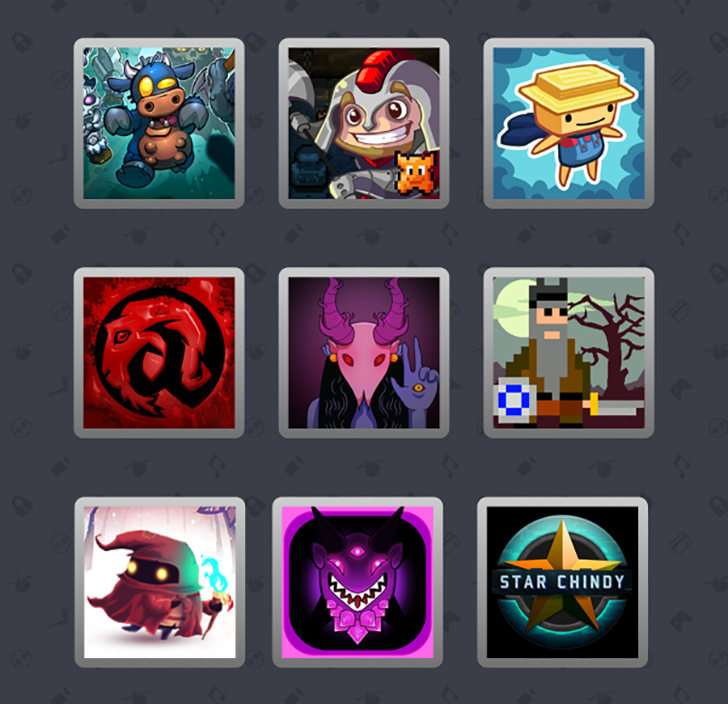 Anyone who's into gaming will know what Humble Bundle is all about. Pick up a selection of great games for an incredibly low price. What's not to like? 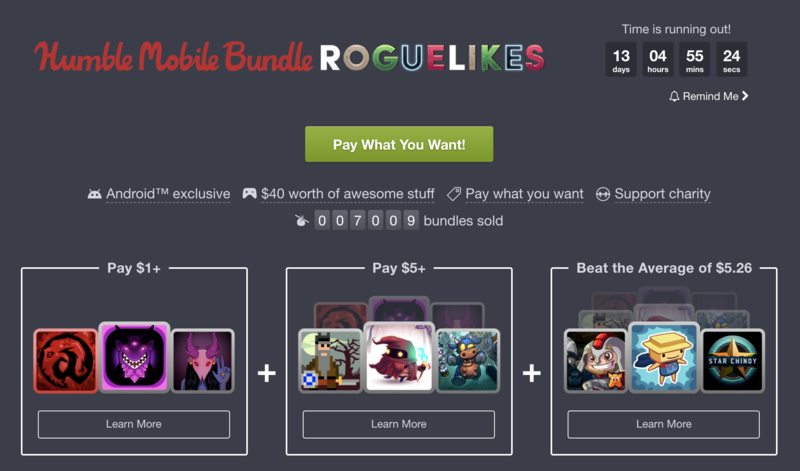 The Roguelikes Mobile Bundle has just launched with 9 new games, but a familiar old deal. You can pick up three of them for $1, six of them for $5, or all nine of them by beating the current average payment ($5.26 at the time of writing, which is a steal). 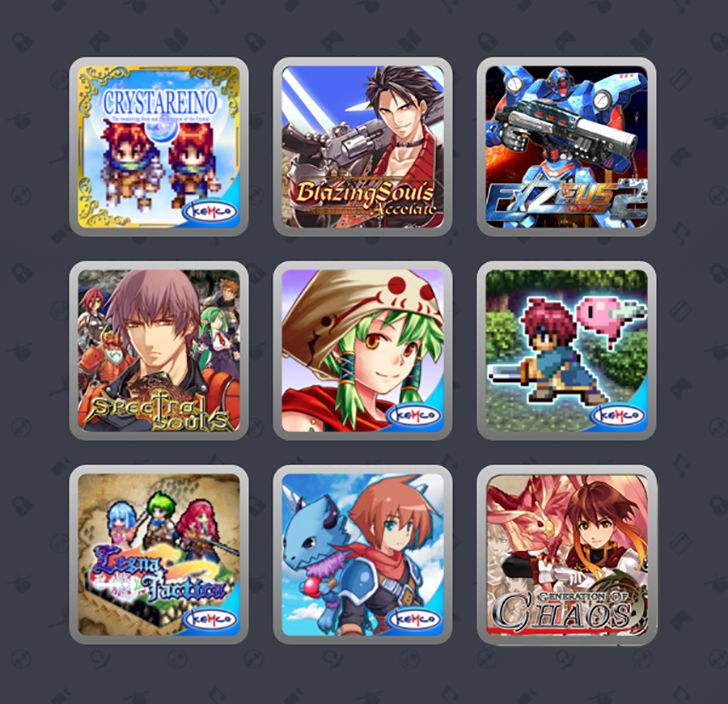 The latest Humble Mobile Bundle is halfway through its run, and you know what that means. Yes, free stuff. We're giving away ten codes that unlock the full bundle of games. Even if you don't win, this is a pretty excellent value. 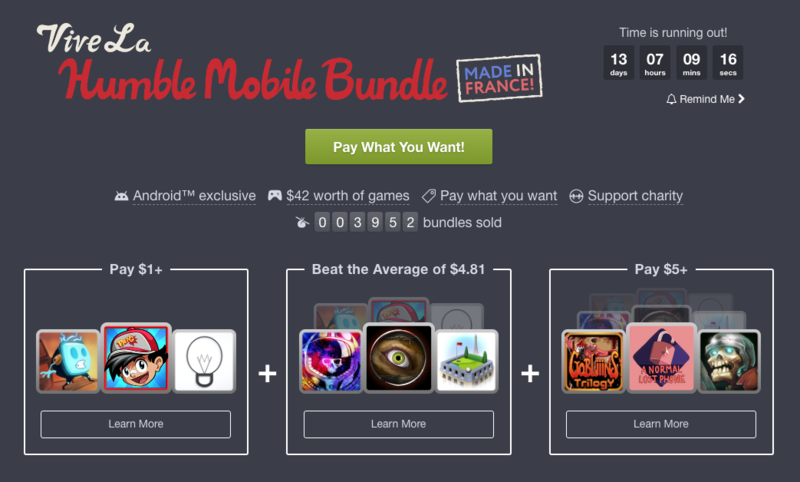 The time has come for a new mobile Humble Bundle, and it's similar to one we saw before. This is the second iteration of the Crescent Moon Games Humble Bundle, which comes with eleven games if you unlock all three tiers. It just started, so you've got two weeks to make up your mind.